Dr. Vincent Chan was born in Hong Kong and came to Canada in 1971. He received a Bachelor of Science degree in biochemistry in 1976 and his MD degree in 1980 from McGill University. Dr. Chan obtained postgraduate training in Anesthesiology at University of Toronto and board certification as a Fellow of the Royal College of Physicians and Surgeons of Canada (FRCPC) in Anesthesia in 1986. Dr. Chan is acknowledged by his colleagues as an international leader in the fields of regional anesthesia and pain medicine. He is currently Immediate Past President of the American Society of Regional Anesthesia and Pain Medicine. In 2009, he has been awarded the Gold Medal Award by the Canadian Anesthesiologists’ Society, the highest personal award in recognition of his contribution to anesthesia in Canada through excellence in teaching, research, professional practice in the field of ultrasound guided regional anesthesia. In 2011, he was conferred the Fellowship of the Royal College of Anaesthetists (UK) (FRCA). In May 2013, he received the International Anesthesia Research Society (IARS) Teaching Recognition Award for Achievement in Education. In October 2013, he received the Distinguished Service Award from European Society of Regional Anesthesia and Pain Therapy (Spain) for outstanding clinical, educational and scientific achievements in anesthesiology, and for contributions to the increased knowledge and practice of regional anesthesia. Dr. Chan serves on the editorial board of the Anesthesia Analgesia Journal and Regional Anesthesia Pain Medicine Journal. He has published over 190 peer-reviewed articles, 14 book chapters and over 80 scientific abstracts. He has performed more than 50 Visiting Professorships in North America and abroad and given over 150 international and 90 domestic lectures. He has trained more than 50 postgraduate clinical and research fellows during his academic career. 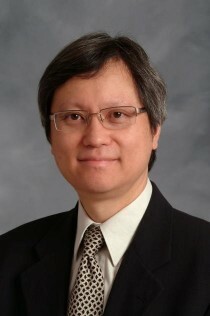 Dr. Chan’s significant hospital and university contributions also include Chair of Research Committee (1997-2001, University of Toronto), Head of Regional Anesthesia and Pain Program, Department of Anesthesia (2001-present, University Health Network), and Chair of the Academic Committee, Department of Anesthesia (2006-present, Toronto Western Hospital).